This week is flying by and my class finally seems to be settling in and adjusting to the routines. I think beginning of year craziness, just might be coming to an end...thank goodness! 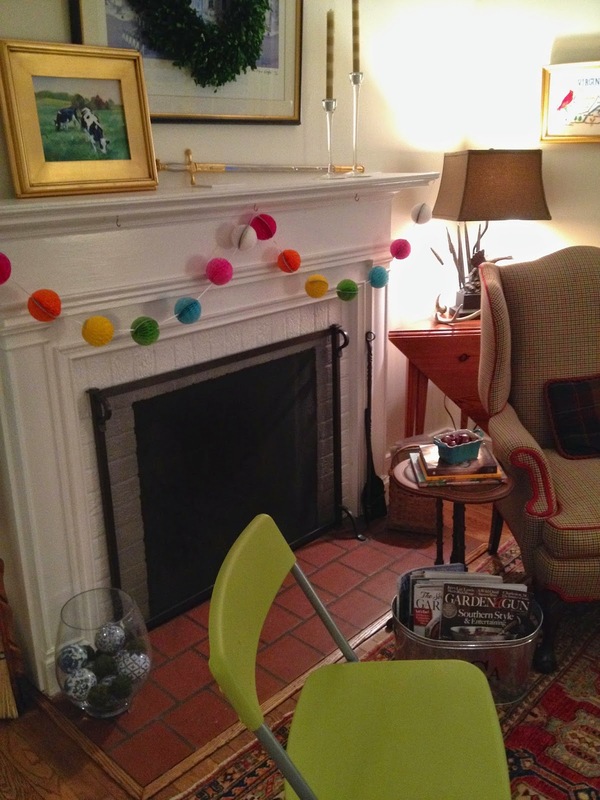 About a month ago, my friend Anna added me to a Bunco group that she is a part of. It's a neat group, because it has evolved over time and has girls that are connected in all different ways. 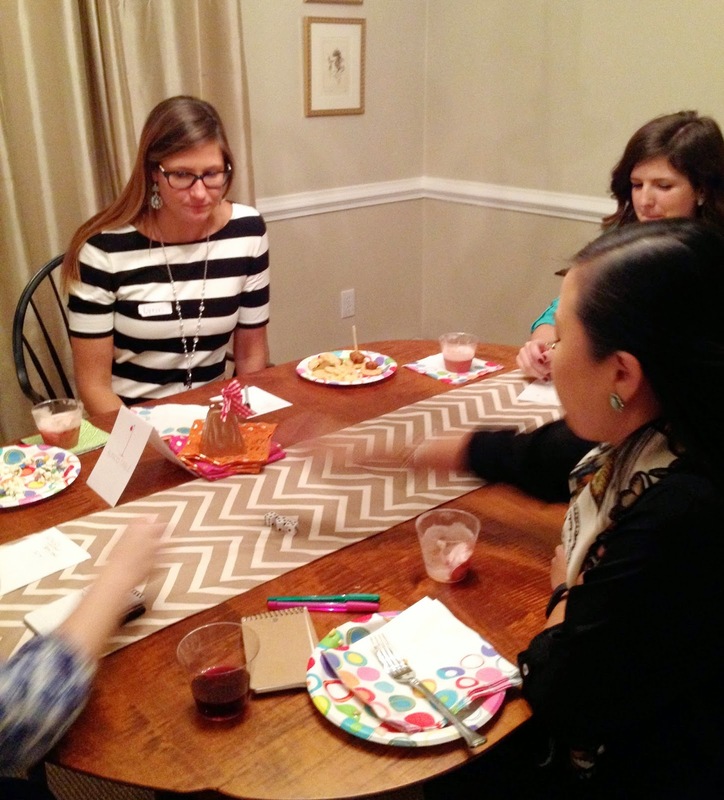 I had never played bunco before (see rules here), but quickly caught on and had a great time meeting lots of new faces and having some girl time! 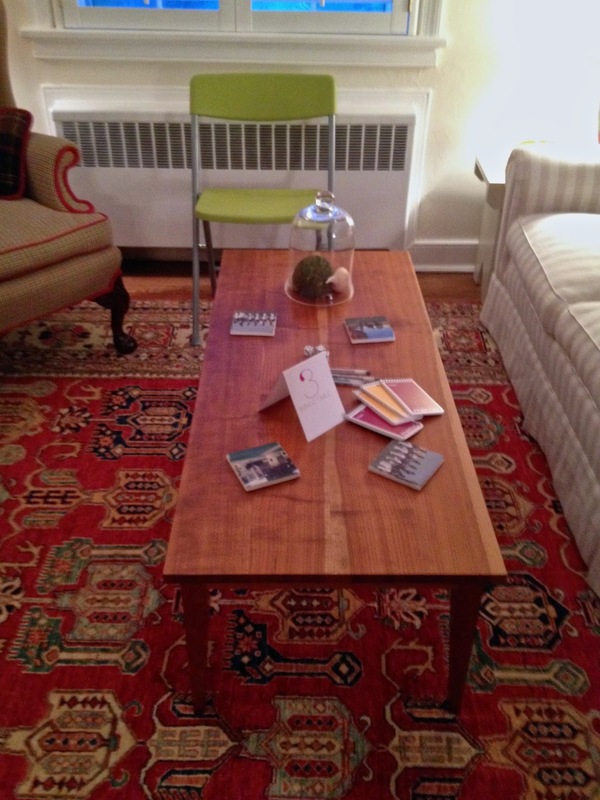 I had such a good time when Anna hosted, that I decided to host this month and had so much fun welcoming the group into my home. 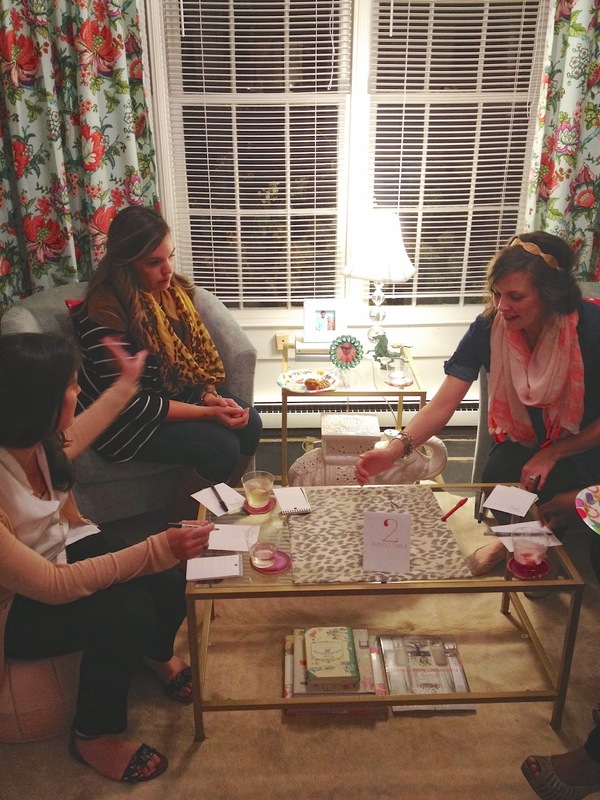 I'm excited to share last night's fun with you today and also provide some tips I found helpful in case you want to host a bunco night in the future! First things first, I'm a huge proponent of entertaining every few months. It is a great motivator to get the house in tip top shape. For last night, I added fresh fall flowers from the farmer's market to our living room and also the cutest honeycomb garland I found at Target. It is the Spritz brand, however, I cannot find it online! Bunco is played at 4 tables with 2 teams of 2 at each table. We had 14 girls last night, so we only played 3 tables, and girls took turns swapping in and out for play. Table 1 or the "Head Table" always begins and ends play, so as you can see I brought home my teacher bell for that table to signal the beginning and end of each round! 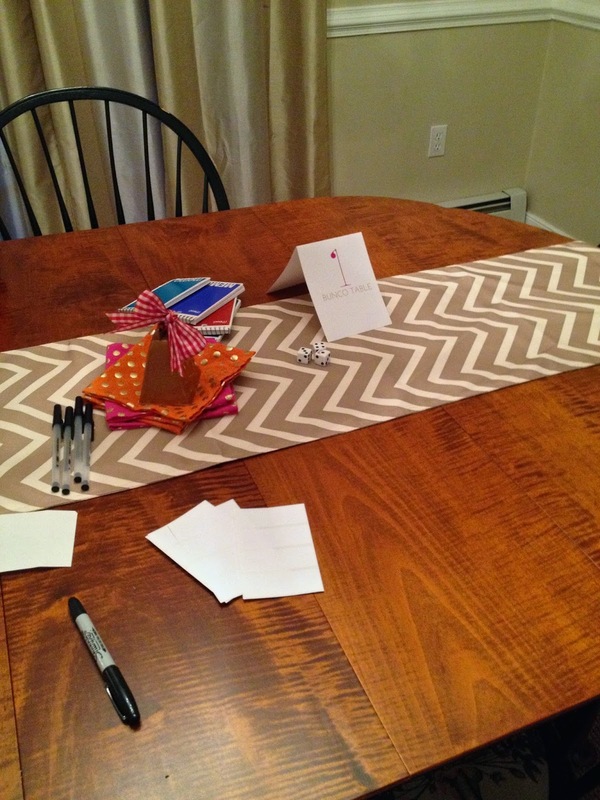 Bunco Printable Table Numbers and Score Cards available here. You also will need 3 dice for each table! I found it helpful to put out labels for name tags! so the dice would have a soft place to roll, opposed to the glass top! coasters, pens, and notepads for scoring were handy at each table! 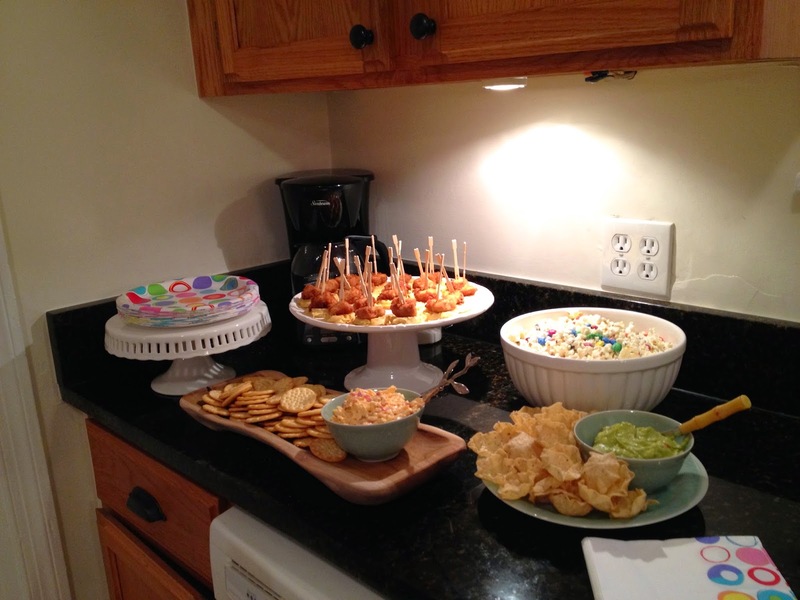 Of course, no girls' night would be complete without drinks aplenty and munchies! 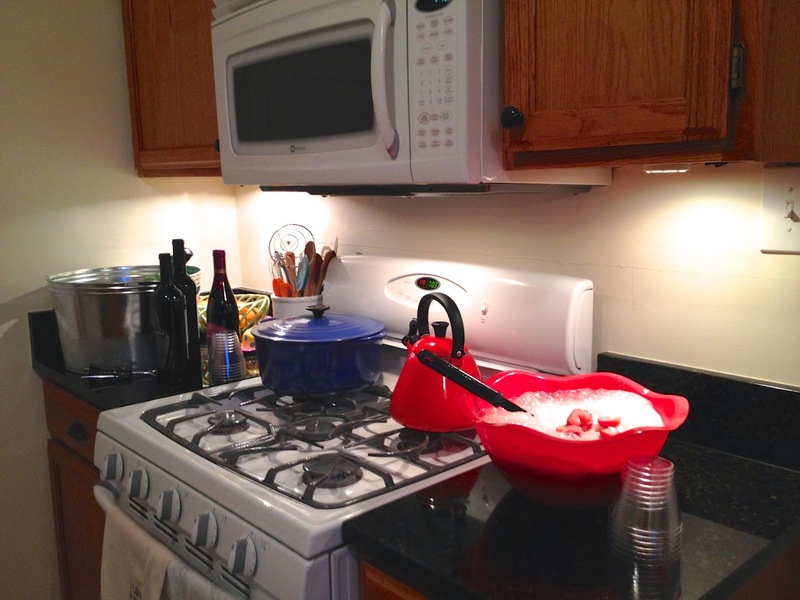 I made the same champagne punch that I made at my Valentine's party (post here) and it was a huge hit! I also had a galvanized tub full of ice for white wine and drinks that needed chilling! I am in love with these "Wine Flu" napkins that I found at World Market. I could not find them on the site, but tracked them down for you here! I kept it simple in terms of food: store bought pimiento cheese and guacamole, Erin's mini chicken & waffles, and my white chocolate covered popcorn (recipe here). I also found really cute plates and napkins at the Dollar Tree! The spread turned out to be even more impressive because of all the other goodies the ladies brought: pumpkin: dip, pretzels, and muffins; cilantro hummus; chocolate chip cookies; pasta salad; and more! Not to mention, my fridge is now stocked with wine! Girls drank, munched, and rolled the dice! And last, but certainly not least, at the end of the night prizes were awarded for: 1) player with the most points, 2) player with the least points, and 3) player with the most buncos! 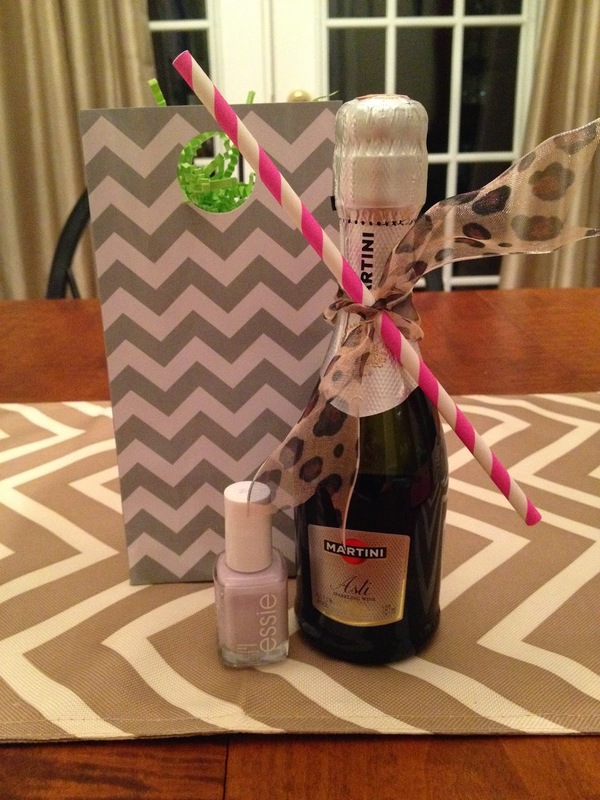 As a prize, I gave each girl a mini champagne bottle with a paper straw attached and Essie "Go Ginza." 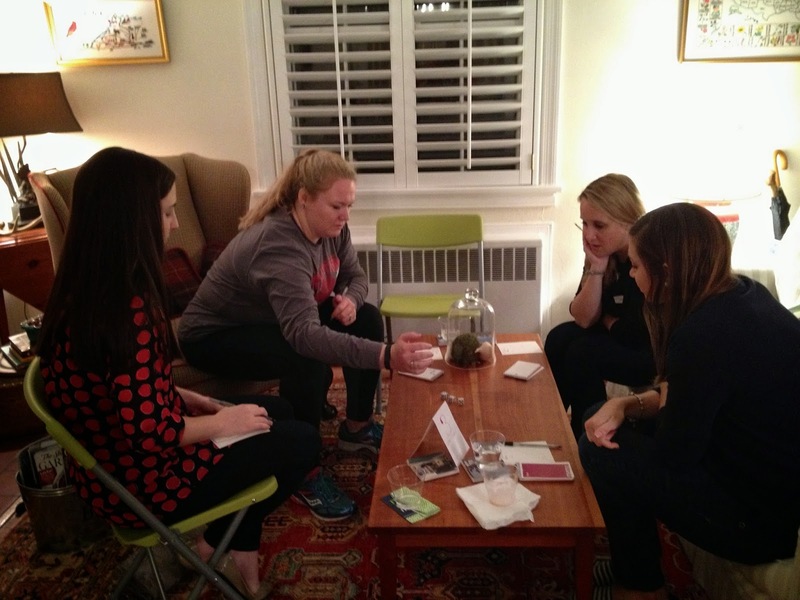 Have you ever played bunco before? What activities do you like to do for girls' night? Last night was SO much fun, thank you for hosting! Loved everything from the set up to your yummy food and drinks! This looks so fun! 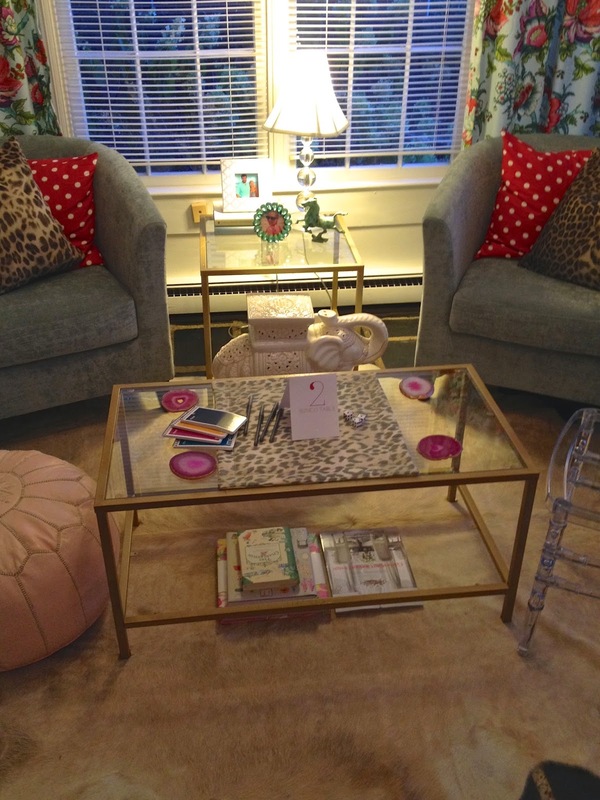 I have been toying with starting a bunco group, this might have just convinced me! Your set up and gifts are so cute! 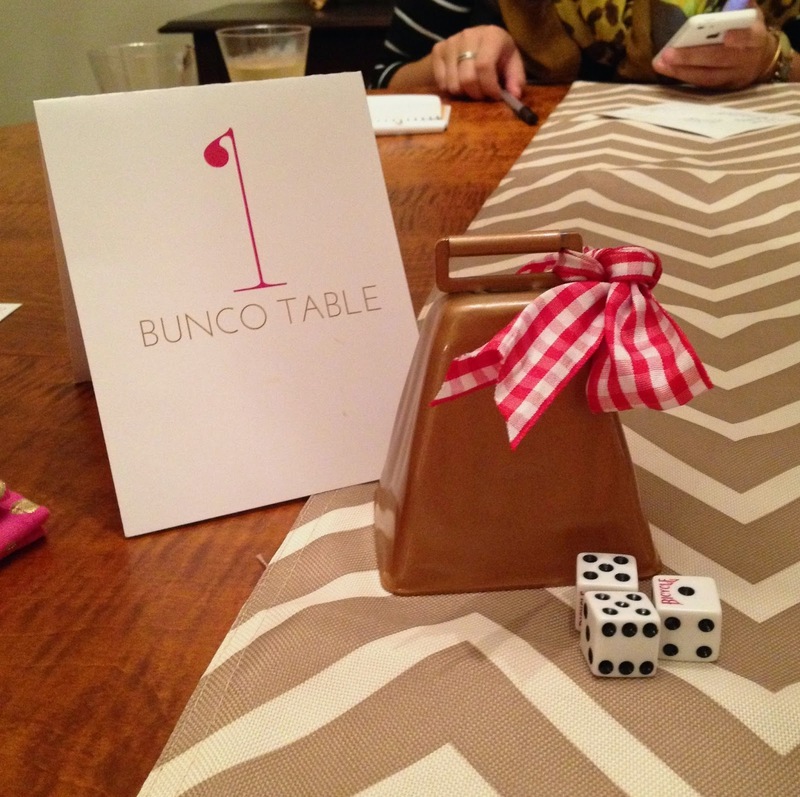 When I used to teach, the first and k teachers played bunco once a month - it was so much fun! Your night looks like a blast! I love the prizes, I think we always just put in $5 and the winner took the pot! I need to gift those napkins to a few friends! Ahhh looks so fun and as usual, you were the perfect hostess! I've never played bunco but Trey's step-mom does and always says how much fun it is! Looks like such a fun girls night!